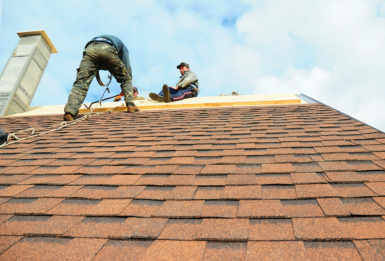 Providing residential roof replacement services for homeowners in the Edwardsville, Illinois area, Daech & Bauer Roofing offers a combination of workmanship and service that our competition can’t match. We’ve completed more than 10,000 successful roofing projects in the area, and we are proud to have been named a Top 100 Roofing Contractor in the United States by Roofing Contractor magazine. Daech & Bauer is also the company to turn to for roof repairs. We have extensive experience with the insurance claim process, and can help ensure that you receive the compensation needed to return your home’s roof to optimal condition if it has been damaged in a storm. Contact Daech & Bauer Roofing today to learn more about the residential roof replacement services we offer, or to schedule a consultation at your home in the Edwardsville, IL area.